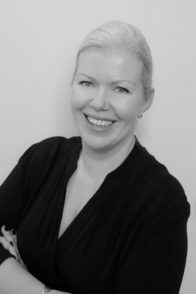 Voluntary Board Member, Maureen Bergin is the Community & Business Relations Director at Kildare Village. Maureen has been with Kildare Village since it’s opening in 2006 and held the position of Retail Director, overseeing the day to day operations of 100 boutiques, until January 2017. Prior to joining Kildare Village, Maureen spent 10 years in Dunnes Store HO as part of the group buying teams. Maureen is currently President of the County Kildare Chamber of Commerce and an executive member of Kildare Town Chamber. Maureen is passionate about children’s education and currently runs several schools’ programmes in Kildare town with Kildare Village and Business in the Community Ireland. Maureen is mother to two young children and lives in Kildare town. Maureen joined the voluntary board of directors of Sensational Kids in 2018 and also serves on the fundraising sub-committee.